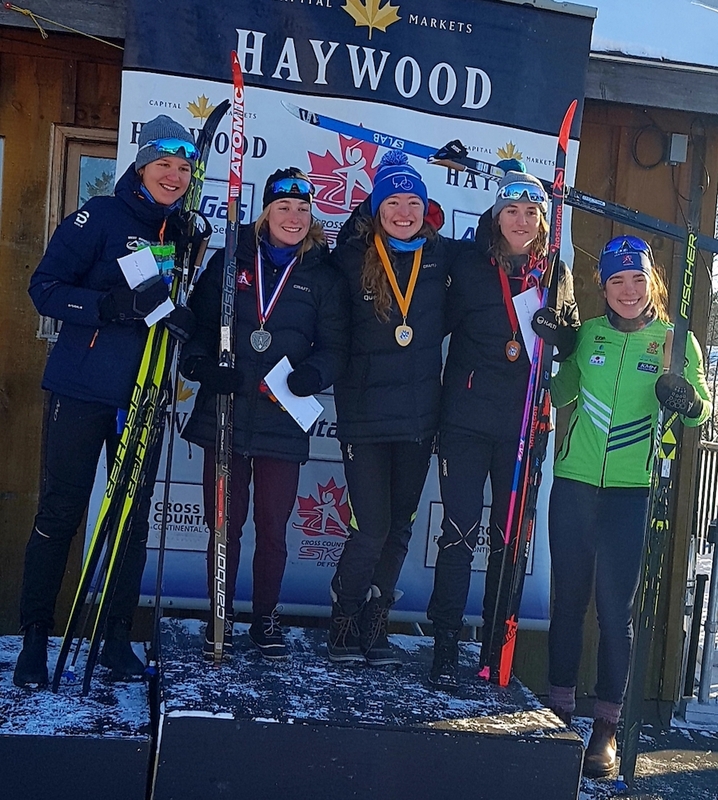 The NorAm series rolled on with Easterns, hosted by Highlands Nordic in Duntroon, Ontario, with 1.5km classic sprints. The weather cooperated, despite a massive cold front sweeping through much of North America, allowing for comfortable racing after a delayed start. There were over 340 racers registered for Friday’s races, with more racers and younger categories waiting for Saturday. 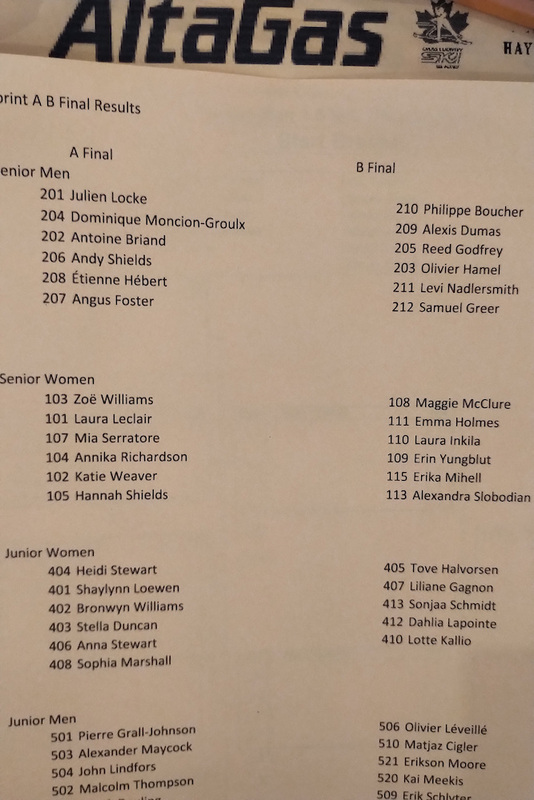 On the women’s side, Zoë Williams (Nakkertok) continued her strong start to 2019 with her first NorAm win, beating top qualifier Laura Leclair (CNEPH) and Mia Serratore (Big Thunder). Julien Locke (CNST) doubled up with the fastest qualification time and an A final win. 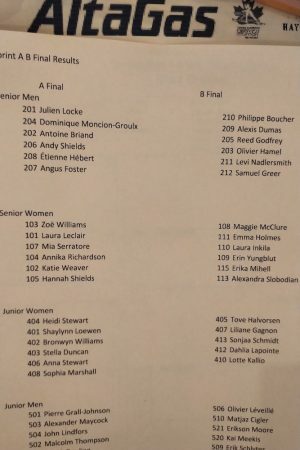 Dominique Moncion-Groulx (Team R.A.D.) took second ahead of early leader Antoine Briand (CNEPH). 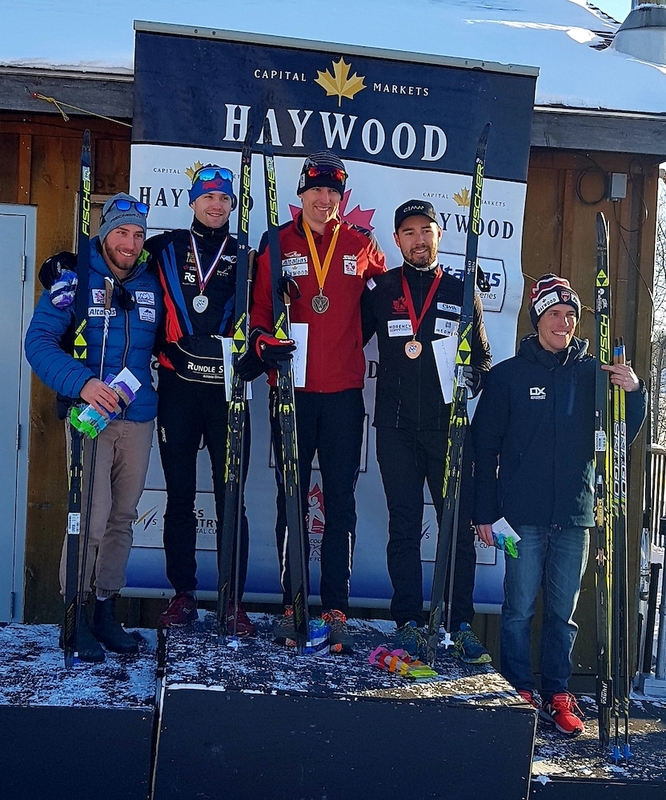 Briand won the US SuperTour in Lake Placid last weekend. Official results were not yet available at 7pm local time. More details coming in the weekend wrap-up on Monday.